We gathered some of our powerhouse guests from 2018 to put together a list of holiday gifts to give (or treat yourself to) in celebration of a year of inspiring, creative MILKs who are making art, helping us heal, and creating stronger communities. Cheers! This funny and informative book by MILK Podcast guest Nina Lorez Collins grew out of her popular Facebook Group of the same name, where women – with strong opinions and humor – share their private selves with bravery and most of all, humor. MILK Podcast guest Angela Garbes wrote this beautiful book based on an article she wrote for Seattle's alt-weekly, The Stranger, called “The More I Learn About Breast Milk, the More Amazed I Am.” The story became the publication’s most read piece in its twenty-four year history, and the inspiration for Like A Mother, an essential read for all new moms. Written by MILK Podcast guest and New York Times writer Katie Rosman, this memoir marries a daughter's quest to truly know her late mother, with a reporter’s attention to detail, humor, and pathos. Co-authored by MILK podcast guest Rebecca Soffer the Modern Loss book has been blurbed by everyone from Mindy Kaling to Stephen Colbert to Anna Sale. It is practical, surprising, and filled with the darkly humorous and tender details of death's inevitability. And check out the Modern Loss community's Holiday Gift Guide for more thoughtful - and fun - holiday gift ideas. Rock your Vote Like a Mother shirt and buy a tote bag for a friend who wants to spread the word about this organization, founded by MILK Podcast guest Sara Berliner. Vote Like a Mother sells ethically sustainable merch with a wink, benefits mom run organizations, and acts as a filter for activism. MILK Podcast Bonnie Siegler, who runs the award-winning design studio Eight and a Half, was voted one of the fifty most influential designers working today by Graphic Design USA. 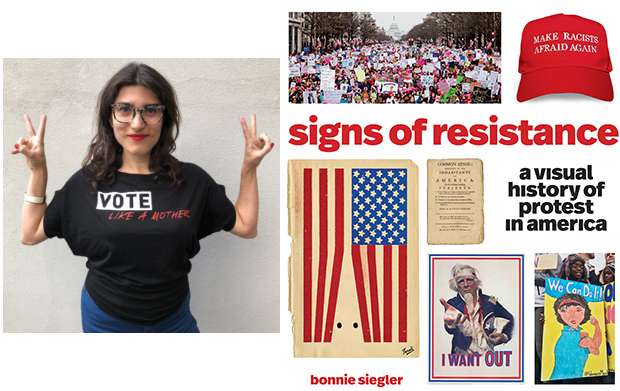 Her book is a visual history of protest in America, perfect for this holiday season. Consider donating to these female-founded start-ups and progressive causes championed by MILK Podcast guest Carley Roney: Power of Two, Project Entrepreneur, and Brooklyn Community Foundation, Motivote and Sister District. Donate in a friend’s name to support the Higher Heights Foundation, co-founded by MILK Podcast guest Kimberly Peeler-Allen. Higher Heights is a national organization that builds the political power and leadership of Black women from the voting booth to elected office. Talk about getting the new year off to a good start! MILK Podcast guest Jancee Dunn's fabulous book is now out in paperback! 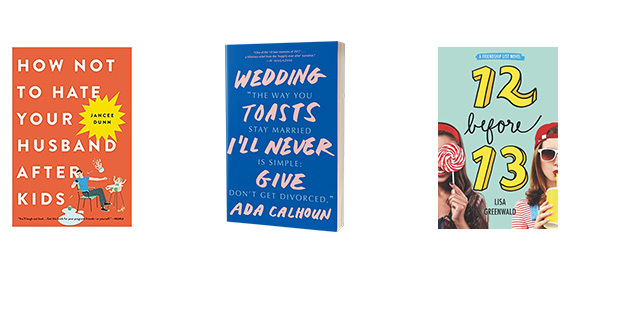 Another excellent book about marriage and parenting, MILK Podcast guest Ada Calhoun's book is out in paperback in time for the holidays. For the tweens on your list, or anyone who appreciates great YA, MILk Podcast guest Lisa Greenwald Rosenberg writes for tween girls and I love her books. Her new middle grade book, all told in text message, is the third in the TBH series, and due out in January. TBH #2: 12 Before 13, debuted this fall.